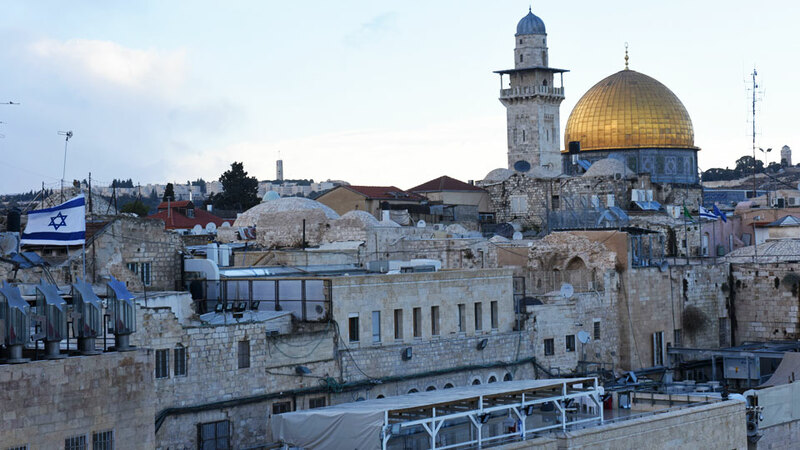 The gold-covered Dome of the Rock at the Temple Mount complex is seen in this overview of Jerusalem's Old City Dec. 6. Jerusalem is a unique and welcoming state, that cannot be defined by political authority or territorial dispute. On December 8, 2017, the Latin Patriarchate expressed several elements that, if followed, will open the possibility of a peace in the future.